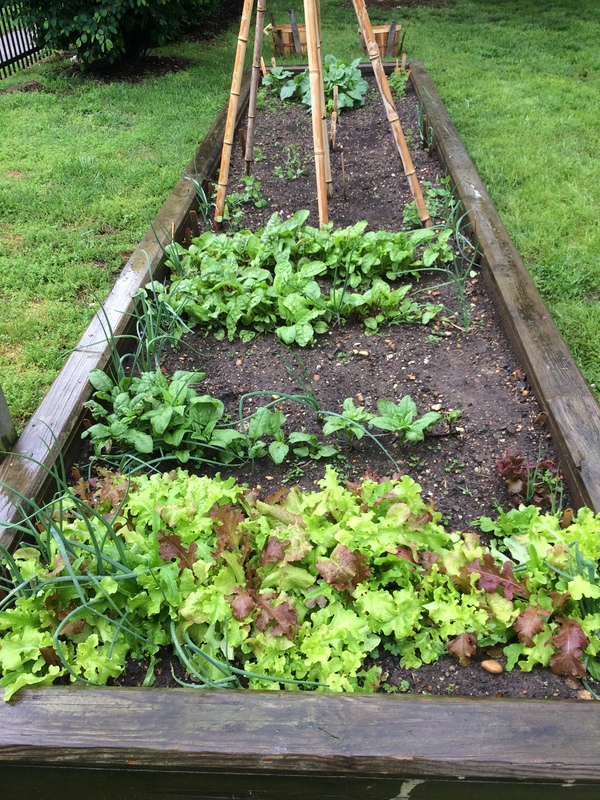 Maintaining a kitchen garden is a rewarding, albeit time-consuming endeavor. As you start or join a garden, you will want to give thought to goals, space limitations, and other considerations. Your approach must consider what you will be growing, which is dependent on location, plant hardiness zone, available space, sun exposure for your garden, the purpose of growing, and other considerations. UMD – Define your terms! Hybrid, heirloom, GMO, etc. Healthy soil and adequate water are essential to plant health. Understanding what constitutes “healthy soil,” and the relationship between soil, water, and plant roots will help guide gardening practices. Wise selection of irrigation options will contribute to crop health, conserve water, reduce erosion, and protect watersheds. As previously mentioned, the use of cover crops can improve and maintain soil health. Another time-honored method for improving soil fertility over time is the use of good-quality compost as an amendment, something you can produce yourself. 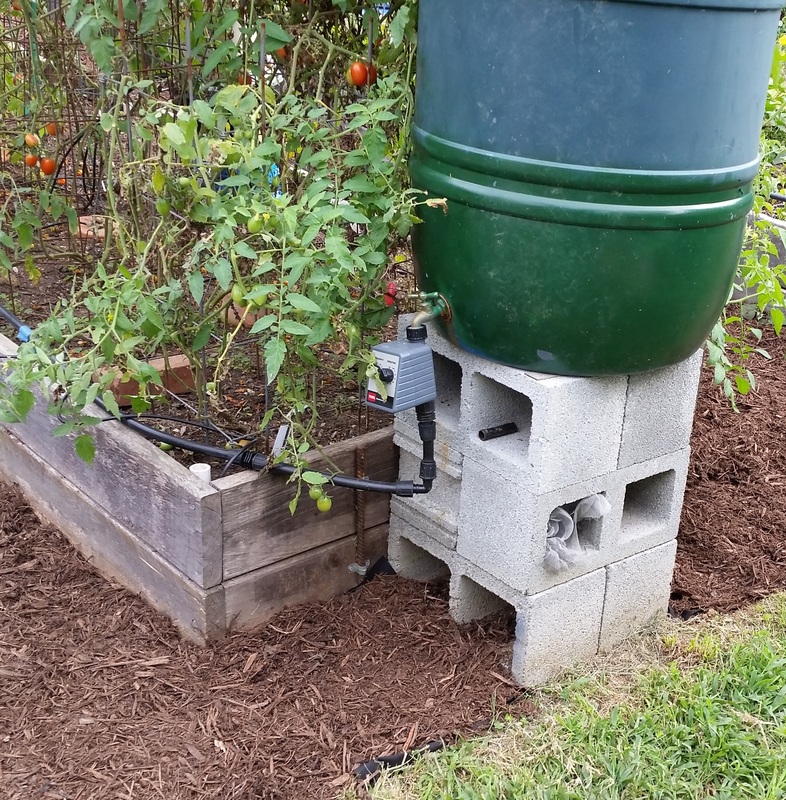 Composting is a great way to reduce food waste that would otherwise go to the landfill. Limiting the use of chemicals in your garden will help both soil and waterways. Finally, you should periodically have your soil tested. 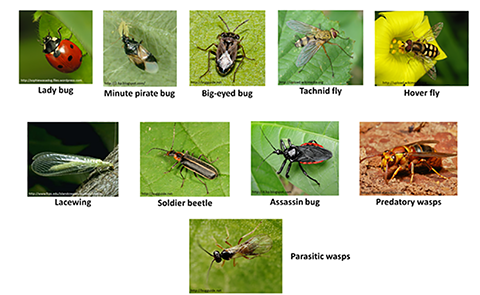 Beneficial insects for enhanced pollination and biological control from the University of Missouri IPM page. From time to time, you will encounter problems while growing your crop. Understanding the concept of “integrated pest management” (IPM) will help you select effective practices that consider the entire ecosystem, not just the garden bed itself. If you use pesticides, even when they are approved for organic gardening (and then as a last resort), you should be mindful that certain products may harm pollinators, and that inappropriate use of chemicals may pollute waterways. Making a deliberate effort to attract pollinators and beneficial insects, your garden helpers, will improve the health and fertility of a kitchen garden. You may also need to manage rabbits, deer, and other wildlife that might otherwise enjoy your crop. If you need to call the Extension Office for help, be prepared to provide details, including insect and plant specimens.